I’ve had the opportunity recently to help a few friends and relatives get into some of my favorite Korean and Asian skin care products, and if you know me, you know that I love to be helpful.When my cousin asked me if I had heard of a Korean skincare brand called Saranghae Skin, I was surprised that I hadn’t heard of the brand before. Never one to let a skincare brand fly under my radar, I Googled around to see what I could learn about Saranghae Skin. I found out that it seems to be a new Korean skin care brand that has recently launched in the North American market. This is Saranghae Skin’s Goddess bundle, which includes their full 5-Step Skincare System. These products are targeted towards people who want gentle anti-aging products. At 33, I think I fit right into that category. I couldn’t wait to try them out! According to the website, the Saranghae skin care brand is inspired by Korean botanicals, grown in the volcanic soil of Mount Halla, that were used for generations in royal families for both medicinal and cosmetic purposes. The founder of Saranghae Skin, Ms. Min Jun Lee, studied these botanicals and was inspired to create a skincare line that harnessed the healing properties of these plants. It’s a nice story — but what matters to me is whether the products WORK. I do like that this company is committed to environmental sustainability. All their products are paraben and phthalate free and are not tested on animals. I also love the name of the brand — Saranghae means “I love you” in Korean, and it’s just a really pretty melodic name, in my opinion. The ingenious thing about Saranghae’s 5-Step Skin Care System, is that it simplifies the Korean skincare routine for people who might feel intimidated or overwhelmed by starting a 10-plus step routine. It really makes it easy for someone to buy the whole bundle of products which, at $159 for a complete anti-aging routine, is quite reasonable. Not drugstore-cheap, for sure, but not stratospherically out of reach. There are a couple things that are important to note about the 5-step routine, as presented on their website. Saranghae Skin has a helpful Youtube channel in case you need help on how to apply the products. Secondly, this 5-step skincare routine does not include an SPF product, so you will need to find one yourself. I found that the products themselves were good, solid, skincare products. I would happily and confidently recommend them to my friends and family. (Note: All of these ingredients lists are from the product packaging). This oil-based cleanser is pretty gentle, but powerful. It contains a lot of really nice oils and botanicals. This cleanser does not leave my skin squeaking (ie doesn’t strip my skin). It does contain Sodium Laureth Sulfate to help it rinse clean, so it’s not sulfate-free, if that’s important to you, though Sodium Laureth Sulfate is much gentler than its harsher cousin, Sodium Lauryl Sulfate. It’s a rather runny cleanser that feels like olive oil as you massage it into your (dry) skin. I tried it on a face full of makeup and it did a good job of removing my BB cream (a cotton pad soaked in cleansing water only had the barest tiny bit of residue on it after being swiped over my cleansed face). It turned white as I massaged it with water to rinse it off, as if it was emulsifying, but it didn’t really foam. When rinsed away, my skin (which has been leaning towards the drier side of normal this winter) felt very clean, but not tight or dry. I do, however, follow up immediately with the next product to prevent my skin from drying out. This cleanser has an herbal tea-like smell, which I find quite pleasant. This is not the most gentle cleanser I own, but given how powerful it’s cleansing ability is, it’s pretty good. Soluble Type-1 Collagen, Purified Water, Glycerin, Alpha-Arbutin, Butylene Glycol, Carbomer, Polysorbate-20, Palmitoyl Oligopeptide, Palmitoyl Tetrapeptide-7, Caesalpinia Spinosa Gum, Potassium Sorbate, Disodium EDTA, Lycopene, Phenoxyethanol, Ethylhexylglycerin. If I had to choose just one Saranghae product, I would choose the Infinite Repair Night Serum. This is a great product. It contains soluble collagen (which moisturizes and softens skin), alpha-arbutin (a great ingredient for lightening spots and pigmentation), as well as peptides (which, though unproven, show promise in anti-aging). My experience with collagen serums is that they tend to feel greasy. Not the Saranghae Night Serum. It absorbs like a dream – I’ve never had a collagen product absorb so well. It also contains one of my favorite ingredients, alpha-arbutin, which gently lightens uneven pigmentation, which is often a more obvious indicator of aging than fine lines. This is a thin serum that is quite runny, so I use it in the beginning of my routine. It plays well with my other essences and serums, and does a decent job moisturizing when I use it without additional serums. Over the two weeks I used it every night (and every day, with sunscreen), I found that my skin looked firmer and my pores looked tighter. I even exclaimed to my husband a couple times that my skin almost looked airbrushed. The effect was subtle, of course, no Botox-like effects here, but definitely noticeable. I couldn’t tell if, over just a few weeks’ time, my sun spots were lightened, but I would be happy to continue using this serum to find out. I appreciated the inclusion of an eye serum in the Goddess bundle, as the skin around my eyes does tend to be drier and has a few fine lines beginning. However, this wasn’t my favorite product in the bundle. This is a light-feeling eye serum that feels refreshing when you put it around your eyes, but I found that it wasn’t quite rich enough, despite taking a long time to absorb. Also, the pump invariably dispensed more than I needed for just my eye area, so I ended up using the excess all over my face. This eye serum contains dimethicone, which is fine; it helps to prevent water evaporation, but I would have personally been happier to see some soothing and moisturizing oils. I’d have to try this longer to see if the peptides in this serum had a long-term effect. I didn’t dislike it, I just didn’t fall in love with the Focus Renewal Eye Serum. 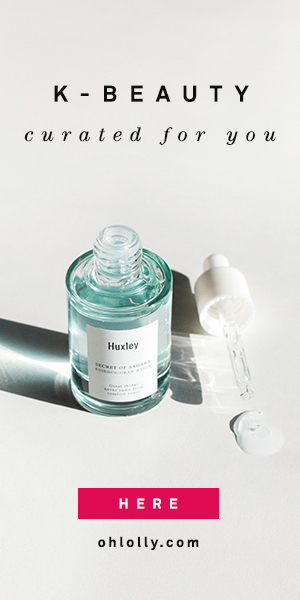 People who don’t like a heavy eye cream would probably enjoy this eye serum. The Saranghae Elemental Essence Mask contains a ton of plant extracts, including lotus (nelumbo nucifera), followed by collagen, peptides, a vitamin C derivative, ubiquinone (CoQ10) and hyaluronic acid. I enjoyed this sheet mask, though it would be a little too rich for me to use every night. This was a very good moisturizing mask that was effective at replenishing lost moisture in my skin. It has a very moisturizing essence, so it’s more suitable for those with normal to dry skin, not so much for oily skin. The soft micro-fiber mask sheet felt high quality and it held a lot of essence in it while feeling light on the skin. If you look closely at the mask fabric, you can see tiny little cells that trap the essence like a sponge. The Elemental Essence masks definitely felt like premium masks while I was wearing them (and let’s be honest, at $40 for 6 they cost a premium price too, though they’re cheaper if purchased in a bundle). I would save these for once-a-week pampering as they felt very luxurious. My skin felt very plump and soft after I used the Elemental Essence mask. The essence left behind was a medium texture – not thick and not runny – and formed a protective film on my skin. I would compare these to the Naruko Narcissus masks, which are among my favorites, but the Saranghae masks feel a little more luxurious and lush. And among premium masks, I liked these better than the Dr Jart Soothing Hydra Solution masks I tried. The Saranghae Firm and Lift Regenerating Cream was my second favorite product in the bundle, and one that I would definitely recommend to friends with normal to dry skin. I could definitely see this becoming a staple in my skin care routine, morning and night. The Saranghae cream has a fluffy, buttery texture, kind of like a creamy frosting. This will probably be too moisturizing for those with oily skin. However, my dehydrated skin drank it up. The great thing about this cream is that although it looks very buttery and thick, it absorbs almost completely, leaving next to no residue on your skin. The excellent absorption allows you to use a generous amount of the cream if you need to. There is no greasy feeling. This cream includes a lot of fatty acids, botanical oils, and peptides. Once absorbed it leaves my face with a satin sheen — not overly dewy, but nicely moisturized. The only caveat I have with this jar of cream is that it includes only 30ml of product instead of the more standard 50ml size. I would love for this jar to be a bigger size. I found that the product was diminishing alarmingly fast, because I liked it so much I kept slathering it on (I guess that’s a good problem to have). PROS: I’m very happy to report that the products in the Saranghae 5-Step Skin Care System are legit, good quality skin care products. They contain promising ingredients (arbutin, peptides, collagen, botanical oils) that back up the brand’s claims of giving you smoother, softer, and firmer skin. Just as importantly, the Saranghae products include a thorough but gentle cleanser and good moisturizers, which is what’s going to give you that smoother, younger-looking skin. Don’t forget to add an SPF! These products are mid-range and reasonably priced for the quality, IF you purchase them in a bundle (which gives you a significant discount). CONS: I personally wish that they included a hydrating toner in the bundle. My dehydrated skin just DRINKS up these products, and I found myself adding some additional essences to my routine to give me an extra hydrating boost. Of course, it’s not hard to find a good hydrating toner on your own. I’d suggest something like the Klairs Supple Preparation Toner (affiliate link) or the Pyunkang Yul Essence Toner (reviewed here). Also, I wish the cream were a larger size. But these are small quibbles. Overall, I would definitely recommend this brand. Saranghae Skin at various prices depending on the bundle. I would recommend either the Night Essentials Bundle (cleanser + night serum + cream) or the Goddess Bundle (all 5 products). Have you heard of Saranghae skin care products? Would you be interested in trying them? Disclaimer: The products in this post were provided free for review. All reviews are my fair and honest opinion. For more information, please see my About/Disclosures page. I’m glad you ended up loving the line of products overall, I’ve never heard of it either, so I’ll definitely have to keep an eye out. I truly admire the Korean skincare regimen, though with being pregnant, I just don’t have the energy to do all the steps, haha. I do most though 🙂 Thanks for sharing and I hope you’re having a great week so far! Love that they’re not tested on animals! I LOVE that! And also they’re super transparent about where their ingredients are derived from. I’ve never heard of this brand, either. The packaging is very lovely. I wonder if this would be a good fit for my mom, who is interested in skincare but not interested in a zillion step program. It honestly sounds perfect for her. I’d suggest getting her the cleanser, night serum, and night cream to get her started to keep it simple. The only thing is that if she has dry, mature skin, she might need to add more richness to the cream in the way of a facial oil or sleeping pack. I love when products do what the brand say they will do. These surely sound like winners to me. Thanks for sharing your honest verdict with us. I like finding out about new brands. Thanks, I’m glad you enjoyed the review! I’m always happy when a new brand I’ve tried out is genuinely good =). I’ve not tried this brand before, so it was awesome to see your thoughts! Sounds like I need to check them out!! They’re good quality products! I think you’ll like them =). When I saw the set my first thought was “Where is the toner?” 😛 I do appreciate that they don’t try to force the 10-step routine, it’s less intimidating for people who are just transitioning to Korean skincare or who want something to incorporate into their existing routine 🙂 The essence does sound lovely, especially its inclusion of alpha-arbutin. More brands needs to feature this brightening ingredient! Yes, I think if more people would gradually transition to a 3-step routine, then to a 5-step, it would be much more accessible rather than starting right away with 10 steps! Camilla, which hydrating toner would you recommend? I like the Pyunkang Yul toner I reveiwed recently, or the Klairs Supple Preparation Toner. I’ll add these suggestions to the post! Camila, I started using Saranghae about a month ago. Also purchased the Pyunkang Yul toner and started using it about 2 weeks ago. Thanks so much for your review and recommendation. Loving it!! The one that stood out the most to me is the serum, love the ingredient list too. I wonder if they ship to Canada or are they US only for now? Let me ask them and get back to you! I actually think their North American headquarters is based in Toronto so they probably do ship to Canada! Did you find it surprising that the system didn’t come with a foam/gel/cream cleanser for washing after the oil cleanser since dual cleansing is typically a cornerstone of Korean beauty routines? I really to try this and just do the system with what is included and as instructed since “they’re the experts”, but not washing after the oil cleanser worries me as far as residue. What is your opinion? I actually didn’t feel there was much residue after using the oil cleanser so it didn’t bother me that there wasn’t a second cleanser. I think their goal is to simplify the routine, which is why there are fewer steps. I would much rather see a toner added to the system which could be used both for wiping off residue and for extra hydrating. Thanks, Camilla. I’ve been using eye and face creams with retinol lately to fight fine lines and wrinkles, but my dry skin had a severe reaction, so I have been looking into more natural and moisture intense routines which lead me to finding Korean skincare and Saranghae. So glad you wrote a review on it, I really enjoyed reading it! I’m so glad it was helpful. I think you can definitely use the system in conjunction with other products, so if you need more moisture, by all means add a hydrating toner and a couple more serums =) (and maybe a facial oil). The Saranghae products will still work with the extra support! Thank you so much for this review. I’ve seen ads all over FB and the web for these products but couldn’t find many independent reviews. I really appreciate it! So had I! That’s why I wanted to try them and see for myself if they were any good =). Glad it’s helpful! Can these products be bought in any retail stores? Or just have to be ordered directly? You can only order directly from their website right now :). What type of SPF product would you recommend? I’m currently LOVING the Naruko SPF50 Peptide Sunscreen. Looking to try the 5 step regimen. How would I go about getting samples sent to me? Do you think its cheaper to get from Korea? This particular line is only sold in North America. I’d contact them through their site for more info on samples. Any updates to share, especially the renewal eye serum? I have combination, oily skin. Have you had any feedback from anyone with similar skin? From what I hear, the serum is great for all skin types, but the cream might be a little too moisturizing for oily skin. However, they have reformulated this set of products, so I’m not familiar with the reformulation. Lately I have sensitivity with Shiesido new products like Glow.I want to switch to other products with no sensitivity.Will Saranghae helps?Pls send me the 5 steps sample to try, then if it works definitely I will switch to this Thank you. Hi! I don’t sell these products, you’ll have to contact the company (linked in the blog post) directly.